The AR technology is converting bus shelters into an exciting mobile gaming experience. Microsoft has been making a number of large and important moves into mobile technology and now it has combined the experience with video games by bringing augmented reality into out of home advertising locations such as bus shelters. The company has outfitted three bush shelters with AR experiences to promote its Sunset Overdrive video game. The bus stops are located in London, England; San Francisco, U.S.A.; and Melbourne, Australia. 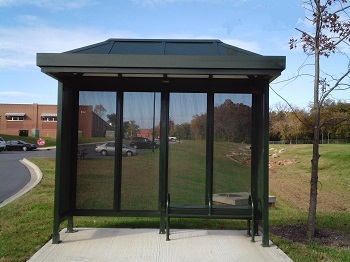 These shelters have each been outfitted with special augmented reality technology that brings the viewer right into the digital environment of the video game. From a distance, these ads look as though they are traditional digital screens. However, when viewed more closely, the AR technology makes it appear as though the figures that are moving around are actually going to leap right out of the screen. These augmented reality ads are supported by the Empowering Media agency, and Clear Channel Outdoor. The displays were created by Grand Visual, which is a company that creates digital out of home advertising experiences. This is not the first time that the company has worked with augmented reality and has incorporated it into its advertising. It is a company that was behind a number of high profile outdoor advertising experiences using AR, motion graphics, and color recognition, such as those from Pepsi, Heineken, and Tropicana. The Xbox One video game being marketed through this effort, Sunset Overdrive, was created by Insomniac Games and is meant to be the first installment of a franchise of shooting games that will place the player in a fast action situation in which they will battle mutant attackers. This innovative form of advertising makes it clear that Microsoft is serious about its efforts to stand out within a video gaming marketplace that is considered to be quite heavily saturated. While it is likely that this augmented reality advertising technique will draw lots of attention for the video game, this campaign is truly interesting for the impact that it is likely to have in upcoming outdoor ad display trends.